The astrology birth chart (Rashi Chart) and the Bhava Chart in Vedic astrology are the basis on which an astrologer can predict a person’s future. It is said that a person’s destiny is decided at the time of his birth into this world. To read and foretell the destiny, ancient Indian saints plotted a chart which housed the position of sun, moon and planets in their positions in the sky by time and date of birth. This horoscope chart, called as Bhava or Chalit chakra, was later used to predict the forthcomings and also the saints prescribed rituals to reduce the wrath in case of bad events that might happen. This is the backbone behind Vedic astrology, a form of astrology practiced by Indians for the past two thousand years. There are nine grahas (planets), collectively called as Navagrahas and twelve Rasis, the Sanskrit equivalent for Zodiac signs. Let us first look at the Rashi chart. Early Indian astronomers had divided the night sky into twelve divisions. And assigned twelve rasis to it. In fact, Rasi or Rashi is the equivalent Sanskrit word for Parts since astrology was practiced in the Sanskrit language. The twelve rasis are each represented by an animal or a commonly known symbol. They are Mesa(goat), Vrishaba(bull),Mithuna(twins), Karkata(crab), Simha(lion),Kanya(girl), Tula(balance), Vrichchika(scorpion), Dhanus(bow), Makara(sea-monster), Kumbha(pitcher) and Mina(fish). Though the Western zodiac and Vedic astrology have twelve zodiac signs and all share the same kind of symbols, the difference lies in the calculation of planetary movements in the astrology charts. Tropical or Western zodiac calculates the movement of planets with respect to position of Sun, while Vedic astrology had used the background static stars (Nakshatra) as the frame of reference for calculating the movement of planets. This had made sidereal or Vedic astrology to be used at any time, while Western zodiac requires a change in the mode of calculation due to precession of equinoxes. The intelligence of the ancient Indian astronomers to calculate movement using a static frame of reference needs to be noted here. A person born under a particular Rasi is believed to exhibit similar personality traits as another of the same Rasi and astrological predictions are given for rasis in general. We have now read the twelve rasis and so, let us come back to the Bhava chakra. Bhava chart (Chalit Chart)or Bhava Chakra is the natal chart, which is plotted at the time of birth. The term Bhava means house in Sanskrit. 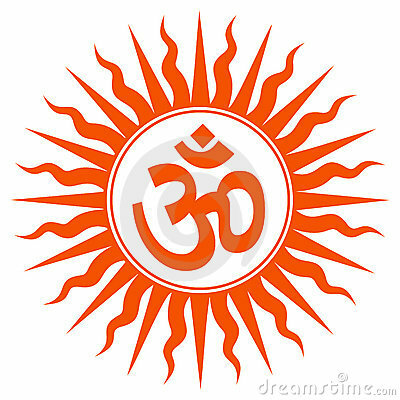 There are twelve bhavas in Vedic astrology, which are Lagna, Dhana, Parakrama, Suhrda, Suta, Roga, Kaama, Mrityu, Bhaagya, Karma, Aya and Vyaaya. The location of bhavas in the sky is exactly the same as that of Rasis, with Lagna occupying from zero to 30 degrees in the east. What Bhava a planet occupies foretells the future of the person. Each of these houses is mapped with an area of life such as wealth, marriage, health, etc. 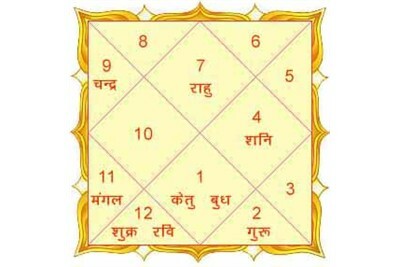 Bhava chart can be used to predict the overall life of a person. An online astrology analysis of your birth chart (Janam Kundali) and Bhava chart gives a clear insight into your future. Try the free online astrological chart calculators below to get instant predictions.